The best respirator you can buy. For perpetual use, non-disposable. 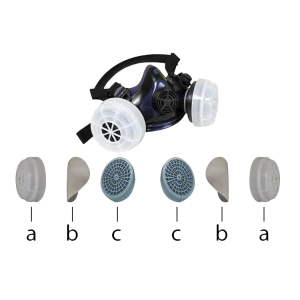 Offers exclusive triple seal protection in a durable and comfortable synthetic rubber mask. One size fits all.